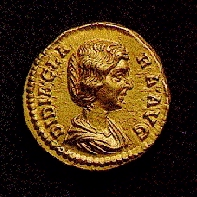 Didia Clara was the daughter of Didius Julianus and Manlia Scantilia. Little is known of her personal life. Her portrait is best known from her coinage. All we know is that upon her father’s execution, the body was handed over to Didia and her mother for burial at the Via Labica near the fifth mile stone in the tomb of his great-grandfather. 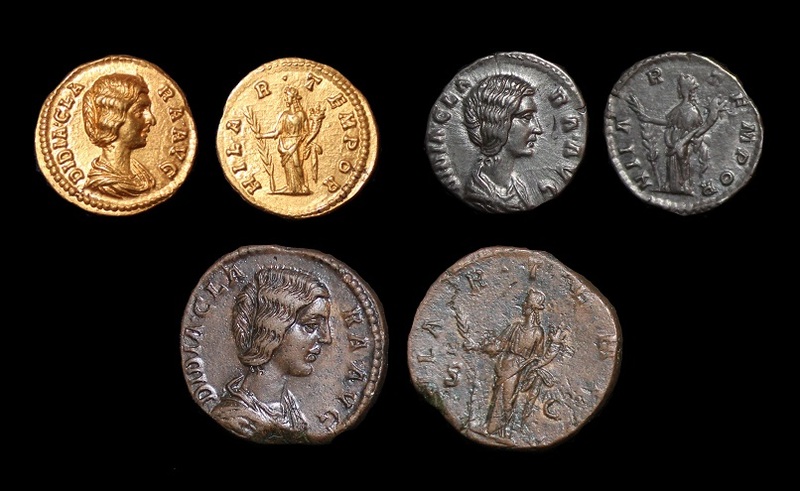 Perhaps due to the fact that Didius Julianus bid 25,000 sesterii per man for the office of emperor, coinage of himself and his family have survived in gold, silver and bronze despite his short reign of only 66 days. The fact that Commodus drained the treasury during his reign must have necessitated the mintage of new currency in order to pay the Praetorian Guard. No doubt, the portraits of his wife and daughter were also used in an effort to promote support for the new royal family as a whole.